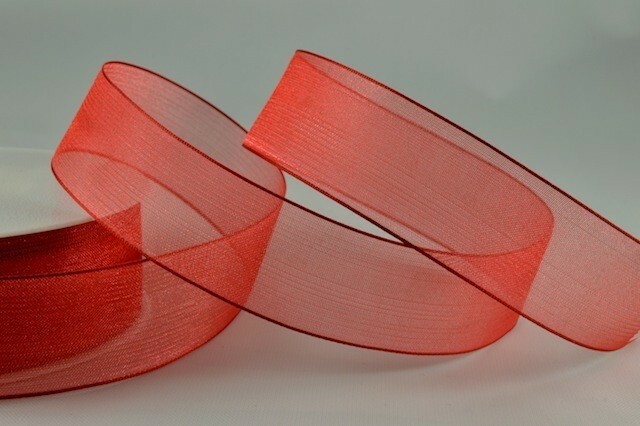 54419 - 15mm Red Sheer Organza Ribbon x 25 Metre Rolls! A brilliant sheer florist ribbon. The rolls are spooled with 25 metres of ribbon.